According to the recent report, Jawa will begin the deliveries of the Jawa Classic and the Jawa 42 from mid-December onward. The iconic motorcycle brand made a grand entry in the Indian two-wheeler market on 15th of November 2018. They launched two new motorcycles upon their arrival with the help of Classic legends and Mahindra. Although Jawa is still in process of opening new showrooms in various parts of the Country but the bookings for their motorcycles has already begun via their official website. Anyone who has the valid documents can pay a token amount of Rs. 5000 to book either the Jawa or the Jawa 42. 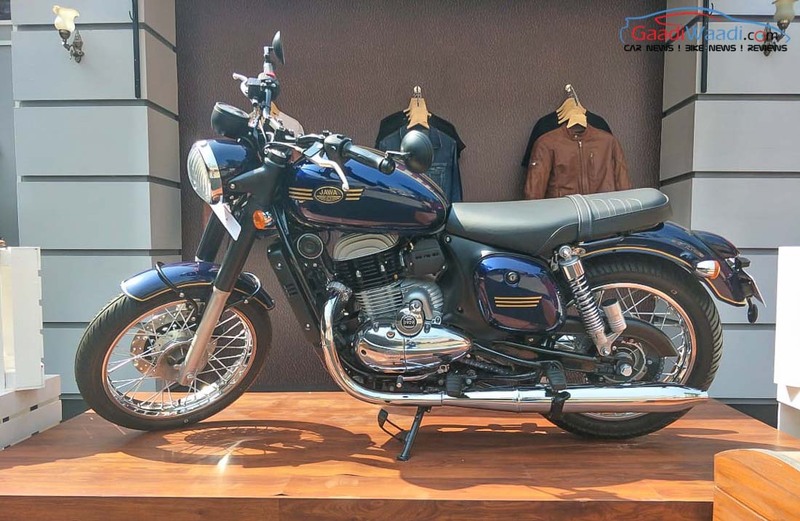 At the launch event itself, Jawa officials have announced that the work on the 64 dealerships across India has already commenced but the name of the dealerships has not been revealed yet. However, according to the recent reports the dealerships will be inaugurated from December onward. Currently, we came to know about four dealerships which will in operation soon in Delhi, Mumbai, Hyderabad, and Pune. Some reports also state that five dealerships have been reported in Bangalore, while Chennai will have four, while one dealership each has been allocated for Kolkata and Tirupati. Coming to the motorcycle both the Jawa and the Jawa Forty-two are powered by the same 293 cc, single cylinder liquid cooled engine which has derived from Mahindra Mojo. The engine is capable of producing about 27 Bhp of peak power and 28 Nm of torque. The engine is paired to a 6-speed gearbox. The motorcycle uses a 280 mm disc towards the front and a 153 mm drum brakes towards its rear. A single channel ABS comes as standard with the motorcycle. As far as the prices are concerned the Jawa Forty-two is priced at Rs. 1, 55 Lakhs (ex-showroom) while the Jawa is priced at Rs. 1.64 Lakhs (ex-showroom).